Helios is currently focused on building out the space-based part of its business, since it has the longest lead time items and highest capital expenses. It plans to launch three satellites over the next 12 months, one “this summer,” a second in December and the third penciled in for February 2019. The company’s first satellite was supposed to go into orbit on November 28, 2017 but the Russian Soyuz upper stage misfired and ended up into the Atlantic Ocean. Work is also underway in building ground devices with the third and final step integrating blockchain and distributed ledgers on top of the IoT network. “We’ll run our own blockchain network internally,” Larson said. “It might be Etherium, it might be something else. It will be the Helios blockchain on the Helios network.” Once blockchain is layered on top of the Helios network, users can take advantage of merging data from IoT sensors with the ledger or couple other non-IoT information onto the ledger. Helios has secured 30 Mhz of mobile satellite system (MSS) S-band spectrum for global use. Using S-band enables the company to design very low-cost ground hardware with smaller antennas. Transmitters will be the size of a credit card, according to the Helios website. Each Helios Wire satellite will be 16U in size — around 20 cm x 20 cm by 40 cm — and weigh in around 20 kilograms. Most satellite IoT startups are focusing on 1U to 3U or smaller satellites; a 3U cubesat is 10 cm by 10 cm by 30 cm and may weigh a couple pounds. 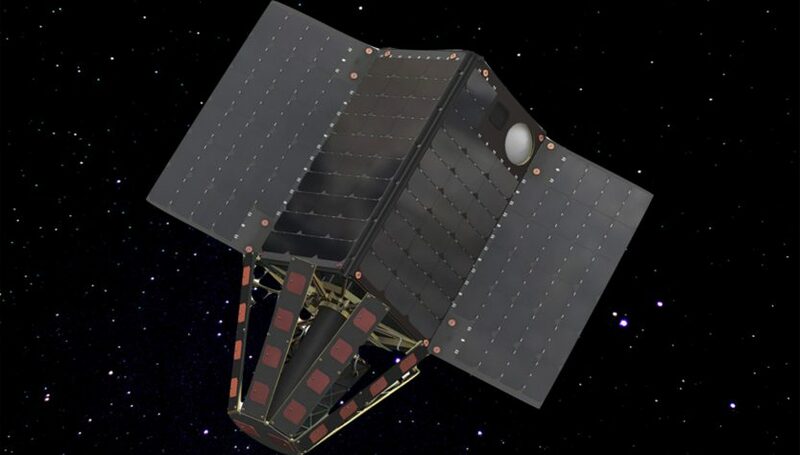 A larger satellite can include lots of storage and support higher data rates with larger antennas in space, along with enough compute capacity to support technologies like blockchain as a software upgrade. Helios will support data rates up to 400 kilobits per second, giving it more capability to move data than the typical 10 or so kilobits per second a smaller cubesat is able to do.